Science and technology in Africa has a history stretching to the beginning of the human species, stretching back to the first evidence of tool use by hominid ancestors in the areas of Africa where humans are believed to have evolved. One significant collection of documents known as the Timbuktu manuscripts, have established that "sub-Saharan Africans were studying mathematics and astronomy over 300 years ago." This was just 14 translations out of 700,000. Scholars note that more manuscripts exist in a wider geographical zone of West Africa to Sudan to northern Mozambique in east Africa. One of the major achievements found in Africa was the advance knowledge of fractal geometry. The knowledge of fractal geometry can be found in a wide aspect of African life from art, social design structures, architecture, to divination systems. 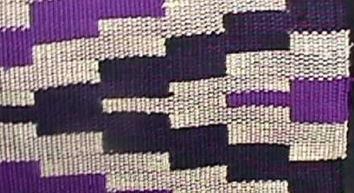 Board games such as oware and textile patterns are other areas of mathematical knowledge among Africans. Mathematics is the art or technique used to explain, understand and manage reality specifically by ciphering, counting, measuring, classifying, ordering, inferring, and modeling patterns in the environment. In this regard it may be said that every organized society has some mathematics to help explain, understand and manage the reality of the society. In Ghana, the kente, woven by the Ewe and Asante, is encoded with mathematical patterns such as even and odd numbers, triangular numbers, â€œPascal's triangleâ€ and the binomial theorem. Fishermen on the coast have advanced knowledge of astronomy. Traditional production of Ghanaian foods and beverages (kenkey, pito, etc) depends on micro-organisms, especially yeasts and bacteria which producers utilize in appropriate processes. The science that underpins traditional food industry needs to be researched and documented.